Selling As Is, No warranty implied. Great Investment Property. 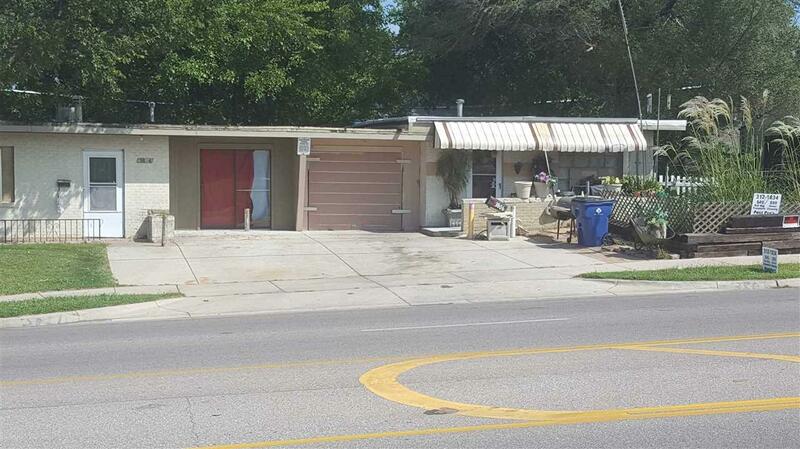 Both sides of a duplex, each side is 1 bed 1 bath & about 600 sq ft. Both unit had 1 car garages, 1 unit has sliding patio type doors replacing garage door and second unit had door sealed, which could be a second bedrooms or storage. Roof is Tar & Gravel. Currently Both are rented, rent is $700/month. Has never been hard to rent. Located on N. 13th street which has high visibility. To show property require 3 day notice and listing agent will do showings.